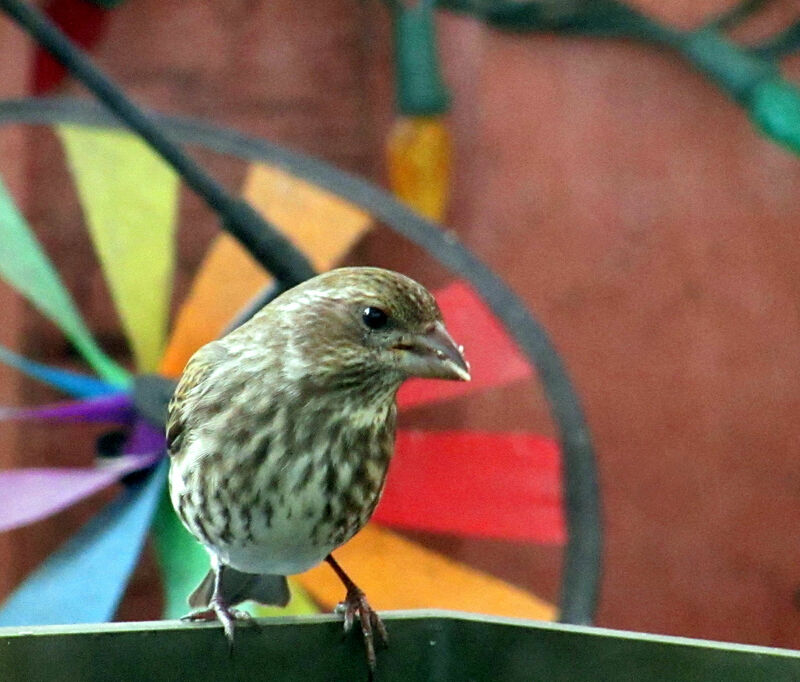 Possible Pine Siskin or Song Sparrow? This forum is for asking questions and providing answers on bird identification. New and visiting birders are encouraged to ask and participate. My first thought was Song Sparrow, but the beak and eye didn't look quite right. 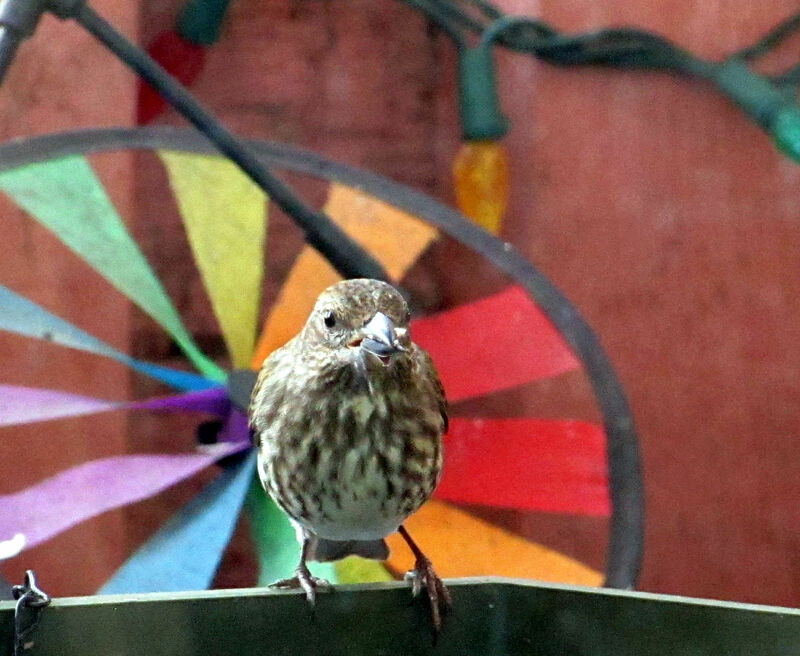 Also, it is a slender bird compared to the Song Sparrows I've seen at my feeders. I have had a Song Sparrow yet this year, which is unusual. Photos taken in the City of Courtenay on Vancouver Island on March 6, 2019. Thanks for your help. Amazing! I would never have thought that. This would be a female, I expect. 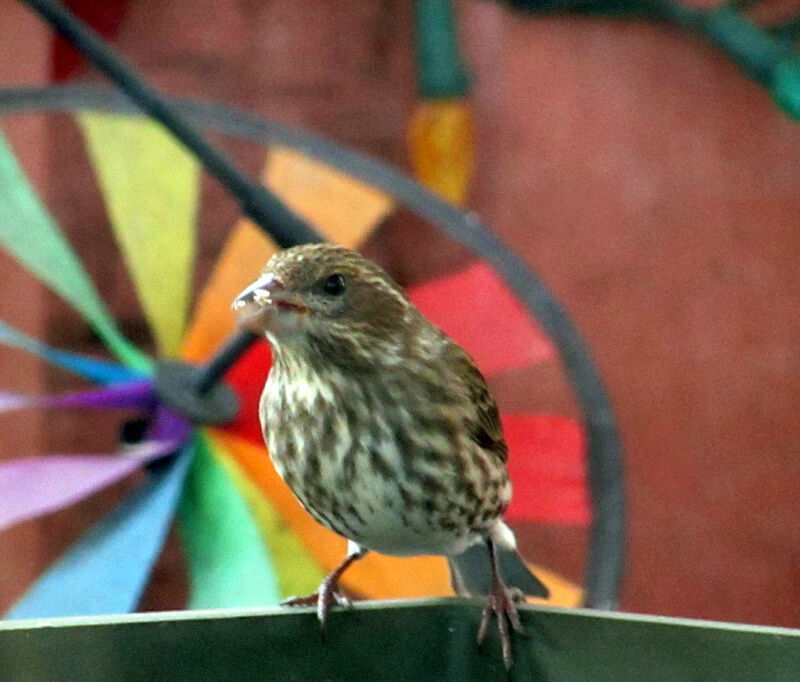 Last winter, I had a male purple finch land in the tree near my veranda. Thanks, I believe you are correct.